Most trusted SEO Company in the Philippines since 2002. How Much Time Do You Really Need to Do SEO? Search engine optimization (SEO), which some of you dread (of course, we know), seems like a daunting task. Well, it doesn’t seem so because it is really daunting. If you aren’t doing SEO yourself, you might not understand the dauntingness (love this word) of it all. This is particularly if you are letting an SEO company to do all the optimization works for you, which is completely a-okay. Lucky for you, but if you want to know what you are paying for the man-hours involved, here’s a simple walkthrough. To answer the question, you will need A LOT of time to do SEO. SEO is a multi-factored activity. It also depends on what optimization works your company needs. For example, a website that is nowhere near the top 10 search engine results page (SERP) requires more time than a website that is already ranking on positions 11 to 20 for specific keywords. These are your factors; I haven’t mentioned competition yet. Definitely, at least one of your rivals are implementing their own strategies. Likewise, the competition against top ranking keywords is another story. Thus, an answer applicable to all companies is difficult to come by. All we can say is… it depends. There are three major opportunities to optimize a website and each opportunity involves man-hours of its own. These are on-site, on-page, and off-site. On-site optimization always starts with a website audit to determine how it is currently performing SEO-wise. Optimizers need to know how does the website appeals to both users and bots. A thorough audit will be the foundation of the future improvements on the site so this must be taken seriously. For these on-site and on-page SEO, it would be much better to check this checklist so you’d really understand what needs to be done. Content creation is another daunting task and an ongoing one at that. Writing a blog post, press release or article may seem easy, but it is not. The amount of research involved alone may discourage you. Alternatively, you can outsource content writing to a service provider. In this way, you may focus on other more important things to do. For best results, try using Google’s products (Google Analytics, Google Search Console, Google Trends, Google Keyword Planner, etc.). They’ll tell you what to do exactly. We use this tools for our audits as well as other tools online such as Screaming Frog and Moz. An entire month will be devoted to analyzing the website and its current strategy. Recommendations must be made based on the analysis. It is possible to conduct the analysis and technical changes within a month. Again, the technical changes may have already been implemented by this time. If the website requires more than just simple coding tweaks, this can go on for at least 2 months. 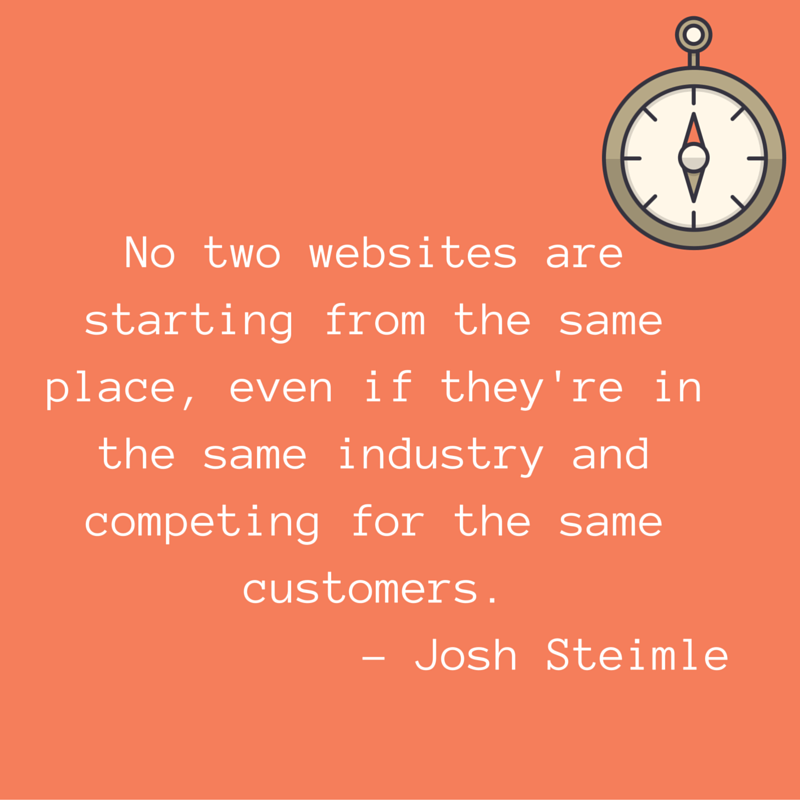 That’s why it is advisable to consider SEO when developing a site from scratch or during a redesign. Nevertheless, while technical SEO is on the works, building contents and links may start now. Once everything’s implemented, the foundational works such as creating contents may start now. An entire month might be needed, but this will still depend on the types of contents that you want to be created. If you’ve started publishing contents on the second month, you might be seeing results on the end of the third month. Moreover, the succeeding months must be devoted to ongoing content creation, link building and technical optimization. You have to do this to improve your search performance to the tune of #1 position. Yes, aiming for that position is hard, but no one says that it’s impossible. To put things in perspective, you need to invest 32 to 96 hours to do the groundwork and another 20 to 48 hours per week to do SEO. So, that’s really a lot. Again, you may do it yourself, hire an in-house SEO specialist or outsource to a local SEO company. It’s your call. Optimind offers guaranteed first page ranking on major search engines or your money back. © Copyright 2019 Optimind SEO Philippines. An Optimind Technology Solutions company.